DerrtyBoi Montana: I am DerrtyBoi Montana and I'm from St. Louis, Missouri. Instantly I'm placed in a bubble gum category due to previous artists from St. Louis. First off, I'm not a rapper, I don't rap. I am an artist. I make music. I have my own swag or brand of presence. DerrtyBoi Muzik. DerrtyBoi Montana: Networking is very essential. It's important to develop good business relationships. You may hold keys to something I might need and I might have what you need. 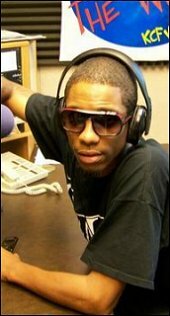 DerrtyBoi Montana: MySpace has helped my music become more available to the masses. Even consumers overseas have purchased my music because they heard it on MySpace. DerrtyBoi Montana: I would say Kingpin Skinny Pimp out of Memphis, Tennesse physically gave me a head start on experiencing the industry in my teenage years. Another influence would be Dramaward based out of the westside of Chicago. They personally pulled me into the circle. DerrtyBoi Montana: I don't remember the actual name of it but it came out in the pattern"snap'n" "snype'n" style. I never thought I would have come this far or seen other cities due to music. MVRemix: How does living in St. Louis shape your attitude towards music, art and culture in general? DerrtyBoi Montana: St. Louis has helped me grow strong and conquer all challenges from haters. You learn to watch your back and keep squares out of your circle. There is a lot of people who don't do enough has a whole to help the city grow as a whole. A lot of people talk it here but don't show it. MVRemix: How did you come up with the name DerrtyBoi Montana? DerrtyBoi Montana: DerrtyBoi symbolizes that I'm from the city of STL. The word "derrty" is a slang term in STL thats been around since late 80's or so. Kinda like New Orleans with the "wodie." DerrtyBoi jacket matches the hat, which match the shoes. DerrtyBoi swag. Montana is the stand. Montana is my gangsta. I will not let you piss on my head and call it a shower. MVRemix: Tell me about the music you're currently working on? DerrtyBoi Montana: I'm currently working on a "Razor Blades and Lemon Juice". It's gonna be a 7-8 song Ep. Feel good music is my specialty. MVRemix: What do u wish to achieve with the album? DerrtyBoi Montana: I plan on gathering and accruing more value of music. I did some cool little numbers with a couple old projects that did not get pushed properly. But with this project I'm fully focused. MVRemix: If I'm coming to a DerrtyBoi Montana show. What is it that I'm going to experience that I won't experience simply from listening to it on CD? DerrtyBoi Montana: You'll experience a transfer of energy from me absorbed it from the crowd and prject it back. You gonna want to roll sumthing if you into that, you gonna want to sip something. You gonna also see I really rap that fast and with that much clarity. I am a pattern rapper, not a fast rapper who needs punch ins. DerrtyBoi Montana: I am not a rapper, I'm an artist. I don't try to be something I'm not. I let my real personality come out in my music. MVRemix: In a sentence or less, how do u relax? MVRemix: Have fun with this one, a la �Fight Club� - �If you could fight any celebrity, who would you fight�? DerrtyBoi Montana: Internet retail websites. DerrtyBoi Montana: A lot of good high quality music. A lot of high quality period in any business venture I do. I aim high nothing less.